Fitch Ratings today revised to negative the outlook for Queensland and warned a potential downgrade was likely if it didn’t limit the growth of its debt. Remember when Senator Barnaby Joyce dared to suggest that not only was there a “distant but real” risk that the US could default on its debts, but that some Australian states were over-indebted too? Senator Joyce told the Herald yesterday he did not mean to alarm the public but there needed to be a debate about Australia’s ”contingency plan” for a sovereign debt default by the US or even by a local state government. Remember when, a couple of months prior to those statements, Barnaby raised his concerns in Senate Estimates hearings with former Treasury secretary Ken Henry? The Nationals Senate leader Barnaby Joyce is openly canvassing an economic upheaval that would dwarf the current global financial crisis, triggered by the US defaulting on its sovereign debt within the next few years. In unusually pessimistic comments for a senior political figure, Senator Joyce said the US Government was running such large deficits and building up so much debt that it was in a similar position to Iceland or Germany before World War II. In a Senate estimates hearing on Wednesday night, he asked Treasury secretary Ken Henry what would be the implications of an American debt default for the Australian economy. Dr Henry warned that canvassing extreme scenarios could alarm the community. ”I don’t mind discussing hypotheticals in general … [but] one has to be careful not to discuss publicly hypotheticals that are that extreme,” Dr Henry said. But Senator Joyce insisted yesterday that the dangers to the global economy from the run-up in US private and public sector debt were real and should be debated. ”It is the elephant in the room,” Senator Joyce said. ”This is a huge risk that Australia faces. What is the game plan, what happens if it comes unstuck? Remember when former PM KRudd joined Ken Henry, Wayne Swan, and then Finance spokesman Chris Bowen, in ridiculing Barnaby day in day out for his concerns about debt, until he lost his job as Opposition Finance spokesman? Senator Joyce told Fairfax Media he did not mean to alarm the public but there needed to be a debate about Australia’s ”contingency plan” for a sovereign debt default by the US or even by a local state government. ”How would Australia go forward in a position where the dynamics of the global economy are all changed,” he said on ABC Radio today. ”It’s got to produce evidence of that,” he told Fairfax Radio Network today, adding Opposition Leader Tony Abbott and his treasury spokesman Joe Hockey needed to confirm or repudiate Senator Joyce’s claim. Mr Rudd said any message to international financial markets about the ability of state governments to repay debt needed to take into account the national interest. State and territory governments had some of the strongest credit ratings in the world and Australia had a ”rock-solid and robust” reputation for public finance. ”There are basic interests for Australia at stake here and responsible, calm, considered policy suggests that the sort of remark … should simply not be made,” Mr Rudd said. Remember when the media pack joined the Rudd Labor government in rounding on Barnaby too? No, it is not the sound of abject apologies from the Labor party, the Treasury department, the RBA, and the Australian media. Nor is it the sound of public applause for Australia’s solitary modern-day economic prophet. It is the sound of deafening silence. Wayne Swan and Ken Henry owe Barnaby Joyce an apology. A year ago Joyce, then the Coalition’s finance spokesman, warned of “economic Armageddon” if the United States government defaulted on its debt. He said the threat was “distant but real” and politicians should at least acknowledge the possibility of default, however remote it might be. Treasurer Wayne Swan accused Joyce of coming from the “reactionary fringe of our economic debate”. Ken Henry, then the secretary of the Treasury Department, claimed that Joyce shouldn’t be talking about such things because it would frighten people. So on that basis Austan Goolsbee must be from the reactionary fringe too. The trouble for Swan is that Goolsbee is a professor of economics at the University of Chicago, the chairman of US President Barack Obama’s council of economic advisers and a member of the US cabinet. Presumably for Swan and Henry it’s OK when Goolsbee speculates on the US going broke, but it’s not OK when Barnaby Joyce does. In January Goolsbee contemplated the result of the US House of Representatives, controlled by the Republican party, not allowing the US government to increase its debt. “If we hit the debt ceiling, that’s essentially defaulting on our obligations, which is totally unprecedented in American history,” he said. The context in which Joyce and Goolsbee spoke was different. Joyce was talking generally about the sustainability of US government debt, while Goolsbee was contemplating the unlikely event of the Obama administration being unable to raise its debt ceiling. But in essence Joyce and Goolsbee were talking about the same thing – namely the US government running out of money. In the US Goolsbee’s remark was taken as a simple statement of fact. In Australia Joyce’s remark provoked outrage from Labor politicians and economics commentators. It was one of the reasons Opposition Leader Tony Abbott subsequently removed Joyce from the fmance portfolio. The treatment of Joyce reveals just how ignorant Australians are about the financial situation of the United States government. It’s understandable that Swan and Henry, who presided over the biggest growth in Australian government debt since Gough Whitlam, didn’t like Joyce talking about the consequences of government debt. But it’s Australia’s policymakers – who refuse to face the facts of the long-term consequences of America’s financial situation – who are the ones being irresponsible. The whole damned lot of you. The Treasury department is – like many false idols – placed up on a pedestal and revered as some kind of infallible authority. And when it comes to our Green-Labor-Independent minority dictatorship’s newly finalised “carbon pricing mechanism”, the infinite wisdom of the Treasury department will once again be held up as the final Word. We are talking, of course, about a government department long headed by well known green cargo cult members. True believers in the warmist cult, such as former Treasury secretary Ken Henry. And the latest appointee from among the green faithful, Martin “Mini-me” Parkinson. Previously the head of the government’s new Climate Change department. So today, I’d like to indulge in a little “Moses” reenactment. You know … the old Bible story. 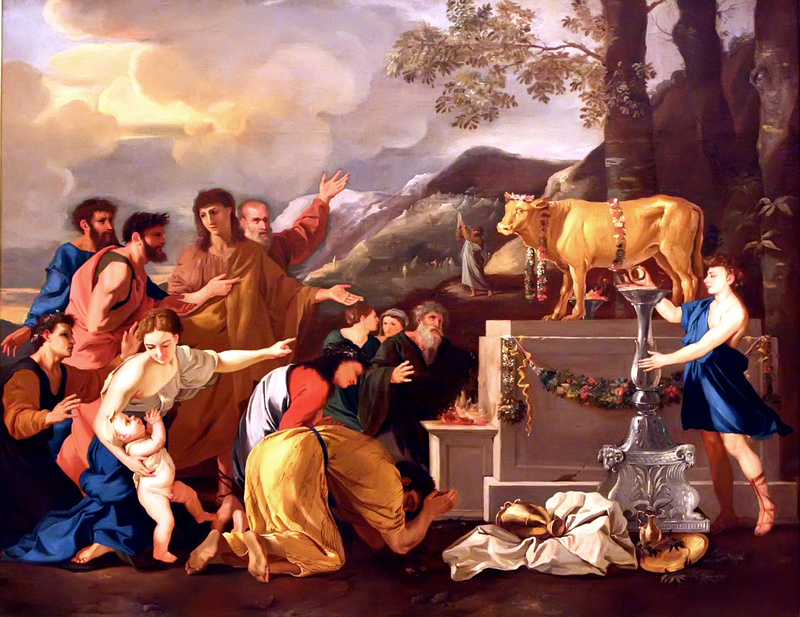 The one where Moses smashed in pieces the golden calf that the people had taken to worshipping. The Treasury department is our modern equivalent. It has become a sacred cow. I think it is high time we ritually slaughtered this sacred cow. In much the same way as our minority dictatorship has slaughtered Aussie farmers’ cattle export industry. It seems that we are all expected to (once again) bow and scrape to the Treasury sacred cow, when our dictators tell us that the economic modelling for their new “carbon pricing mechanism” all stacks up. Yes indeed, we are all expected to accept in blind faith, that the Treasury department’s forecasts and predictions of the financial effects of this great new economic reform bankers’ money-go-round, are solid and sound. Perhaps if Treasury’s forecasts and predictions as prophesied in past budgets can be shown as having been accurate, then we might have some basis, some reason, for placing our faith in them regarding this new carbon dioxide mega-scheme … right? Well, let’s take a look at them, shall we. And let’s keep it really simple. Let’s not slice and dice every line item in their past Budget forecasts. Let’s just see how accurate they were with the two (2) basic, headline Totals. 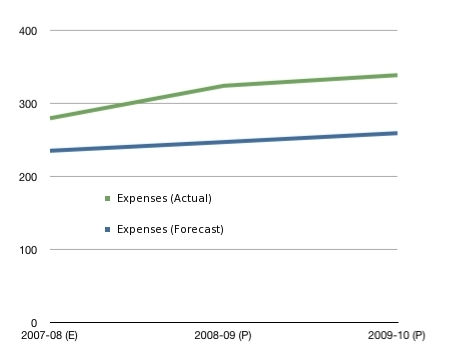 Let’s look at the original Budget forecasts that our Treasury gods made in 2007-’08. And especially, let’s note their “forward estimates” made back then, for the following 3 years. After all, the Government’s “carbon pricing mechanism” plan has an initial 3 year “fixed price period”. So, if we can see that Treasury got their Budget forecast reasonably accurate for the three years from 2007-’08, then maybe … just maybe … we can have a little confidence in their abilities, and their forecasting accuracy. Note too, that the 2007-’08 Budget forecasts – prepared by the Ken Henry-led Treasury department – were for the Howard-Costello Government. So we are talking here, about the Treasury sacred cow’s forecasting effort for the so-called “World’s Greatest Treasurer” Peter Costello’s final budget. So, in the May 2007-’08 Budget, Treasury “estimated” Revenue of $246.8 billion for the year 2007-’08. And they “projected” Revenue of $260.7 billion for the year 2008-’09, and $274.6 billion for 2009-’10. How well did our Treasury gods do on those “estimates” and “projections” for Revenue? Hmmm. $303.7 billion in actual Revenue, versus the $246.8 billion they “estimated” just 1 year earlier. An error factor of 23%. Hmmm. $298.9 billion in actual Revenue, versus the $260.7 billion they “projected” just 2 years earlier. An error factor of 14.6%. Hmmm. $292.8 billion in actual Revenue, versus the $274.6 billion they “projected” just 3 years earlier. An error factor of 6.6%. 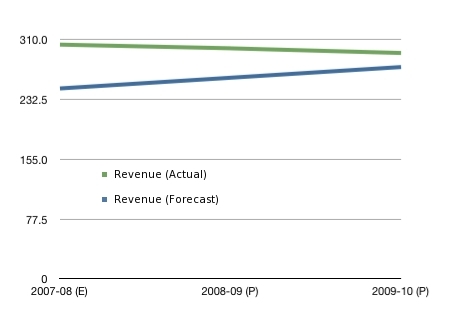 Treasury’s 2007-’08 Budget “estimates” and “projections” for Revenue in the following 3 years, were wrong by a factor of +23%, +14.6%, and +6.6% respectively. Or to put it another way, in the 2007-’08 Budget the Ken Henry-led Treasury department underestimated future government revenue by a grand total of $113.3 billion over the first 3 years of their “forward estimates”. Incredible. They actually received $113.3 billion more than they originally forecast through to EoFY 2010. And yet, these Treasury gods and their Rudd-Gillard-Goose muppets have still managed to plunge Australia into $194 billion in gross debt by mid-2011. That probably has something to do with their out-of-control spending, right? Let’s move on to Expenses. So, in the May 2007-’08 Budget, Treasury “estimated” Total Expenses of $235.6 billion for the year 2007-’08. And they “projected” Total Expenses of $247.5 billion for the year 2008-’09, and $259.7 billion for 2009-’10. How well did our Treasury gods do on those “estimates” and “projections” for Expenses? Oops. $280.1 billion in actual Expenses, versus the $235.6 billion they “estimated” just 1 year earlier. An error factor of 18.9%. 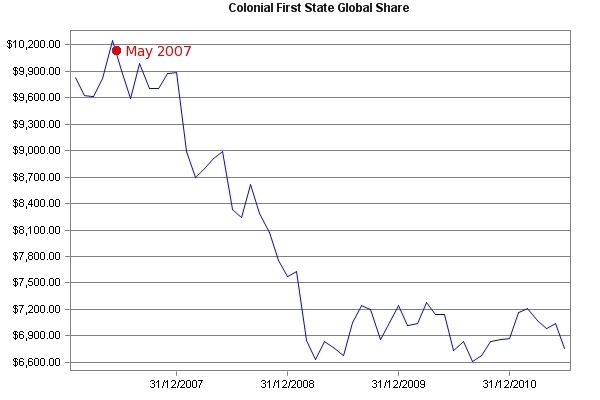 And don’t forget, ladies and gentlemen … the GFC had not even hit yet! That came 4 months later, in September 2008. Our new PM Kevin07 evidently got off to a treasury-emptying head start, even without a GFC as the excuse. Oops. $324.6 billion in actual Expenses, versus the $247.5 billion they “projected” just 2 years earlier. An error factor of … gulp … 31.1%. Oops. $339.2 billion in actual Expenses, versus the $259.7 billion they “projected” just 3 years earlier. An error factor of … gulp … 30.6%. Treasury’s 2007-’08 Budget “estimates” and “projections” for Expenses in the following 3 years, were wrong by a factor of +18.9%, +31.1%, and +30.6% respectively. Or to put it another way, in the 2007-’08 Budget the Ken Henry-led Treasury department underestimated future government expenses (ie, spending) by a grand total of $201.1 billion over the first 3 years of their “forward estimates”. Incredible. These Treasury gods and their Rudd-Gillard-Goose muppets spent $201.1 billion more than they originally forecast through to EoFY 2010. 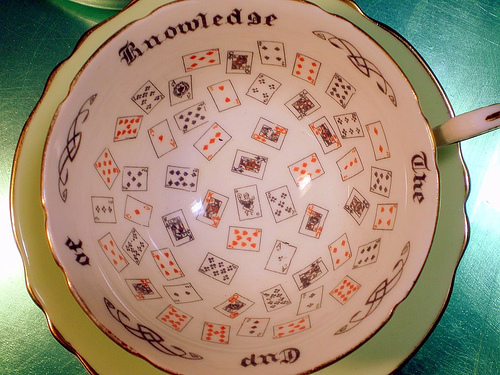 Here’s another way of looking at the Treasury department’s forecasting genius. 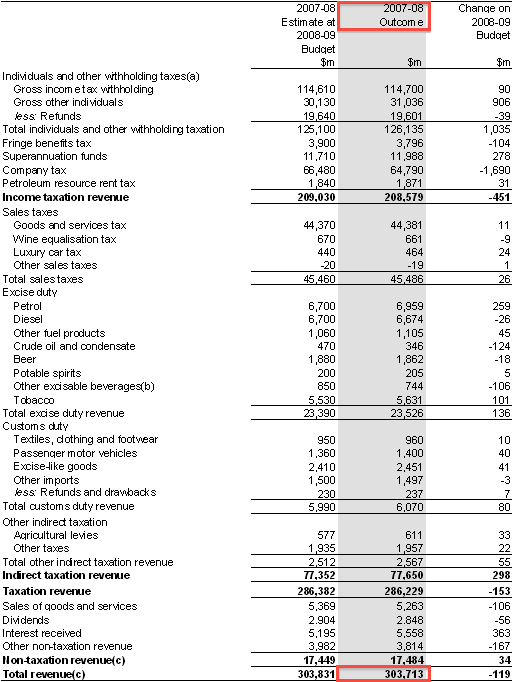 It’s interesting to note that Treasury underestimated both Revenue, and Expenses. After all, most citizens will take more kindly to a government Budget that “forecasts” a total tax take … and total government spending … that are 20% – 30% less than they eventually turn out to be. And the odds of getting caught out are low – how many citizens (or journalists) ever bother to check how close the Treasury/Government’s final budget results came to their original “forward estimates”? Our Treasury gods, with all their degrees and PhD’s … did … not … see … the … GFC … coming. Why would any sane person believe in Treasury’s economic forecasting abilities now … after they totally failed to see that one coming? After all, it’s not as though there is any shortage of dire warning signs out there right now, alerting us to an impending GFC 2. We have been documenting these warning signs coming from all over the world – and from here in Australia too – right here on this blog. If the impact of the GFC is your excuse for the Treasury’s abject failure to get within a bull’s roar of predicting the Budget revenue and expenses for 3 years ahead of time … that they only got it so very, very wrong because they did not see that impact on the Budget coming … then I rest my case. By your own words … and their own data … they stand condemned. A late thought that just occurred to me. Because thanks to the clear evidences already coming out of America and elsewhere in the world, even I could see that a GFC was bearing down on us. The overpaid, tea leaf reading numpties led by former Treasury secretary Ken Henry … could not see it. Reader and Twitter follower @Ayeshavit asked me to update this post to capture the Final Budget Outcome for 2010-11 … the last year of the 2007-08 “forward estimates” by the Treasury genii. Recapping – way back in the (Coalition’s last) May 2007-’08 Budget, Treasury “estimated” Revenue of $287.3 billion for the year 2010-’11. And they “projected” Expenses of $272.7 billion for the year 2010-’11. $302.0 billion in actual Revenue, versus the $287.3 billion they “projected” just 4 years earlier. An error factor of 5.1%. $346.1 billion in actual Expenses, versus the $272.7 billion they “projected” just 4 years earlier. An error factor of 27%. Yup. 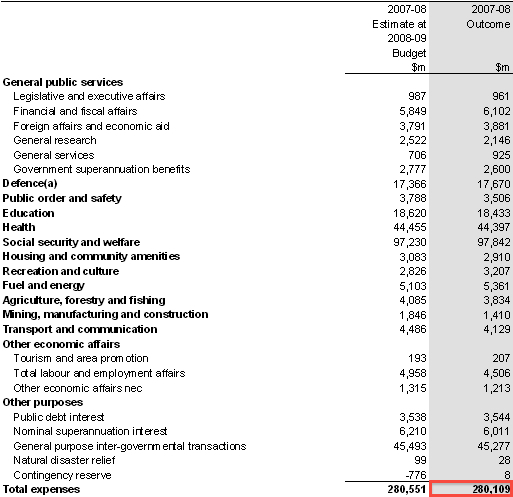 The Labor Government spent more than one-quarter more money in 2010-’11, than Treasury had “projected” in 2007-’08. Isn’t it interesting how the Treasury department’s “forward estimates” actually turn out? What a shame for all Australians, that the lamestream financial and economic commentariat never bother to go back and compare what Treasury originally said, versus the reality of what actually happens. Instead, sheep-like, they lap up and bleat on to the public whatever nonsense “projections” the Treasury puts out on Budget night … as though it has actually happened. When as you can see, the Treasury’s “forecasts” are not worth the paper they are printed on. There’s a little faux furore doing the rounds in the last 24 hours. Allegedly, that awful Tony Abbott doesn’t trust economists. In particular, he does not trust their judgement over their “popular” position on the proposed carbon “X”. Tony Abbott today slapped down economists who were backing a price on carbon to deal with climate change, accusing the numbers men of getting it wrong. The Opposition Leader urged economists vocally calling for a carbon tax or emissions trading scheme to examine their thinking. Speaking at the The Australian-Melbourne Institute Growth Challenge conference in Melbourne, Mr Abbott said economists should not be taken in by Labor’s use of the term “market-based mechanisms’’. “It may well be, as you say, that most Australian economists think that the carbon tax or emissions trading scheme is the way to go,’’ he said. Not one of these economists who are calling for a carbon “X”, saw the GFC coming. Australians lost billions from their retirement savings. Our country was plunged, unprepared, into a massive Labor and greenie-Ken Henry-inspired monster debt-a-thon. Because NOT ONE of these #JAFA’s saw the GFC coming. Including the latest #JAFA economist to be given charge over the Australian economy – and your future – the new Treasury Secretary, former student of “Helicopter Ben” Bernanke, Martin Mini-me Parkinson. Only one (1) Australian economist did see it coming. And only twelve other economists, worldwide, along with him. This paper presents evidence that accounting (or flow-of-fund) macroeconomic models helped anticipate the credit crisis and economic recession. Equilibrium models ubiquitous in mainstream policy and research did not. It was only those rare economists who shun the kind of modelling that is “ubiquitous in mainstream policy”, and instead use “accounting” models, that got it right. In other words, it was only the few economists worldwide who think like accountants, who were able to see the GFC coming. Is it any wonder then, that our much-ridiculed accountant in the Parliament, Senator Barnaby Joyce, is always the only one on the ball when it comes to correctly predicting the risks of what is coming? There’s another outstanding reason why no sane person should trust the “leading” “mainstream” economists’ opinions about “pricing carbon”. The majority of these economists you are hearing from on the subject, have a massive conflict-of-interest. Take a look at this little online stoush that I had right here on barnabyisright.com, with “leading” #JAFA economist Saul Eslake. He objected to my portrayal of his and his fellow dozen economists’ Open Letter in support of “pricing carbon”, as being a Banksters’ Glee Club. Then under return fire, he foolishly conceded that, as far as he knows, 77% of those economists (including himself) are current and/or former employees of banks. Mr Eslake himself being former chief economist of the ANZ Bank, and now employed by BHP Billiton (who stand to make a killing from “pricing carbon” – really! ), and the Australian Government via the “independent” Grattan Institute. By Saul’s Own Words They Stand Condemned. 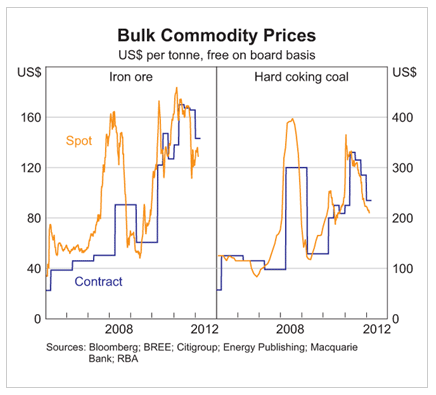 The sector of the economy that stands to benefit the most from “pricing carbon”, is the financial sector. Including Malcolm Turnbull, whose balls are owned by international carbon-trading-pushers Goldman Sachs, after their “confidential settlement” to keep him out of court in the half a billion dollar lawsuit over the HIH collapse, in which Mr Turnbull was a named defendant. Tony Abbott – who has an economics degree himself – is actually demonstrating both brains and balls, by defying the “mainstream wisdom” of economists over the carbon “X”. No sane person should trust economists at all after the GFC. And especially, no sane person should ever trust those “leading” mainstream economists who are now out there publicly singing for their supper, on behalf of the bankstering industry. Blithering Idiots, and Liars all. Will Goose, Henry, Stevens, and Co. now step up and apologise to Barnaby for mocking his warning about US debt levels? US finances are in almost as troubled a state as the worst-hit members of the euro zone, economists say, underscoring the pressing need for Washington to reach agreement on how to reduce the deficit. A gauge of “sovereign risk” from economists at Deutsche Bank placed the United States just behind Greece, Ireland and Portugal among 14 advanced economies. Former Labor senator Graham Richardson said earlier this week the miners are now spending a million a week advertising the stupidity of this “super tax on profits”. And he concludes “their ads are 50 times more effective than the government’s ads”. What was Rudd thinking? Who was advising him? Enter stage left: Ken Henry. Although Rudd has since rejected the idea, on Monday Rudd’s Treasury Secretary helpfully suggested the RSPT should be extended to all industries, especially banks and retailers. I think there are three possibilities here. Ken Henry is either politically dumb, gone completely mad or he is a secret admirer of Tony Abbott. Surely Kevin Rudd had enough enemies without adding two of Australia’s largest industries to that ever growing list. There is another possibility. Henry is just a naïve greenie. Reportedly he partly drafted his tax review while caring for northern hairy-nosed wombats in central Queensland. Too bad wombats don’t vote. The spill result is great news for investors, because the mayhem Rudd unleashed over the last six or so months will cease and the RSPT in particular will be consigned to the history books with him. And I strongly suspect Secretary Henry won’t be too far behind.